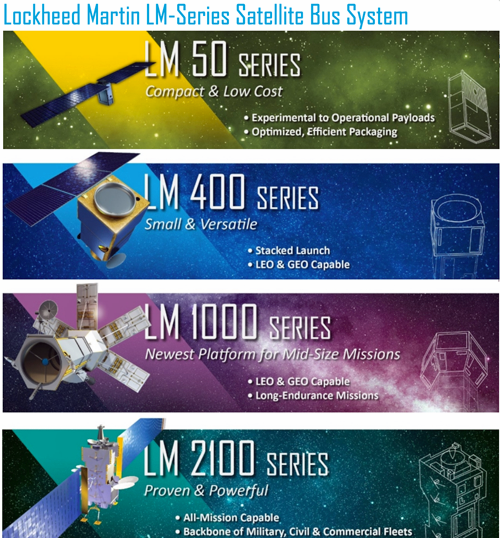 Lockheed Martin (NYSE: LMT) has debuted a new family of satellite buses that form the core of nearly every space mission. From nanosats to high-powered satellites, the versatile lineup incorporates dozens of major enhancements and hundreds of common components that speed production and reduce cost. The company announced the lineup at the Air Force Association Air, Space & Cyber Conference. For the first time, all of Lockheed Martin's satellites will share common components and more than 280 components have been identified. The multi-year effort to identify common systems aims to reduce cost, shorten design time and increase reliability with trusted components. Lockheed Martin's software support systems also enhance flexibility and make each bus rapidly reconfigurable. 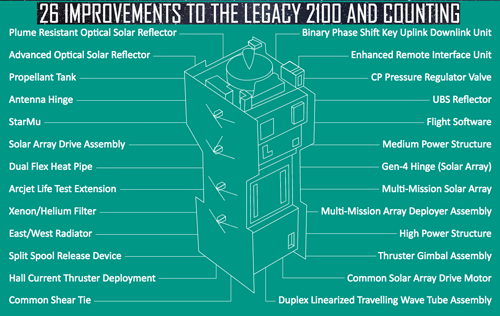 While configurations may vary in each series, the core elements of each bus will retain commonality with other satellites, including missions in military, civil and commercial markets. Kay Sears, Vice President, Strategy and Business Development, Lockheed Martin Space Systems. Kay Sears, VP of strategy and business development for Lockheed Martin Space Systems, explained that as technology evolves, customers have told the company they want faster production cycles and more versatility for their dollar, and Lockheed Martin is listening. The way we design, engineer and produce satellites is being transformed to deliver the same performance and precision customers expect from Lockheed Martin, but faster and at a lower price. Rick Ambrose, Executive Vice President, Lockheed Martin. Rick Ambrose, Lockheed Martin Space Systems EVP, added that the company has invested $300 million in revamping the satellite solutions from top to bottom, applying what has been learned from hundreds of smallsat and geostationary missions. Lockheed Martin now has one family for every mission fully integrated with the firm's end-to-end capabilities in ground stations, payloads and software applications. As defense, scientific and commercial missions change and evolve, Lockheed Martin will l be ready with proven, powerful and flexible technology to meet tomorrow's demands.